Forget everything you know about a Marvel blockbuster. Well, except for the Stan Lee appearance. Black Panther is here, and he’s clawed his way through the big screen to make his mark on the genre. 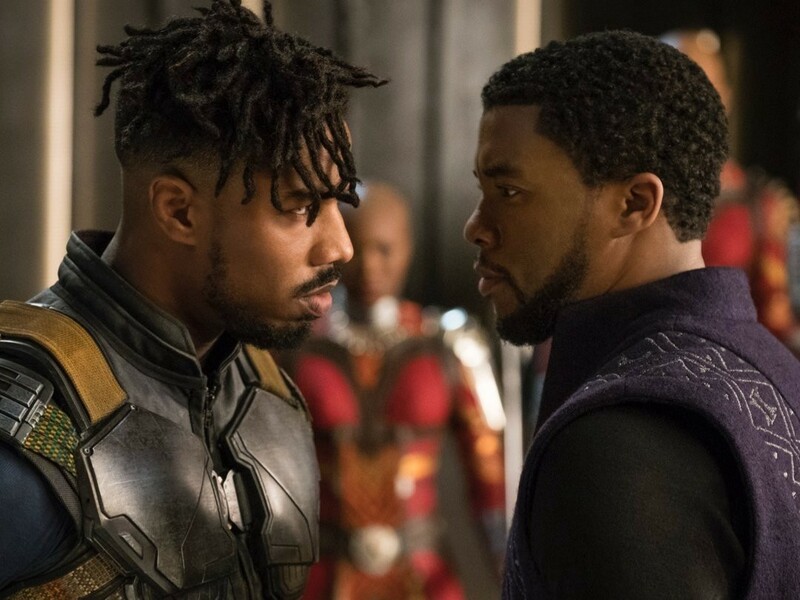 Director Ryan Coogler has eschewed the familiar glut of smug in-jokes and mind-numbing CGI explosions to create a visually dazzling work of art that stands apart. In aesthetic look and spirit, it shares more in common with The Lion King than, say, X-Men. And while this is not the first comic-book adaptation to feature a black superhero front and center — or have you long repressed Suicide Squad? — it’s the most culturally relevant and rich, making it a cinematic landmark. Does it have flaws? Heck yes. As did last year’s Wonder Woman, another important forward-thinking superhero outing (from rival D.C. Comics). But both are grand efforts. With great power comes great responsibility. 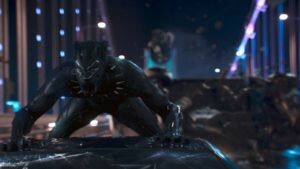 T’Challa must decide when and if to distribute vibranium, a very precious Wakanda-exclusive metal that gives the country its state-of-the-art technology. To wit, Black Panther’s costume is adorned with the stuff. Should Wakanda hold on to this resource to display its influence to the outside world? Or should it be shared with the less fortunate? He also faces a challenge in the form of a dangerous, determined and secret-harboring American named Erik (Michael B. Jordan, who’s also worked with Coogler in Creed and Fruitvale Station). A series of strong performances lifts the material — if anything, the reliably solid Boseman and Jordan are upstaged by a trio of flat-out fierce females. Get ready to root hard for T’Challa’s self-reliant ex (Lupita Nyong’O), the no-nonsense warrior and leader of the king’s guard (Danai Gurira of The Walking Dead) and his brilliant sister (Letitia Wright), who’s got a pulse on the latest in gee-whiz gadgetry. She’s bringing the Q to big brother’s James Bond. These women aren’t just hanging around as token window dressing, either. Their roles are meaty and significant to the narrative. Nice to see that Black Widow might have some solidarity when the new Avengers arrives in May. This is usually the portion of a positive Marvel movie review when I rail about the excessive use of destructive, meaningless violence. I’ve reached my quota seeing a skyscraper blow to smithereens. But, if nothing else, Black Panther works because Coogler, also a co-writer, keeps the extended action sequences to a minimum. Maybe the anticlimactic face-off between hero and villain will disappoint some adrenaline junkies; I was fine with it. Good for Coogler for instead focusing on family, emotional struggles, community and self-worth. For this franchise, the sun shines bright.